Jackie Carmel, W’11, C’11, shares her journey from traditional investment banking to impact investing, interviewed by Megan Foo, W’19. 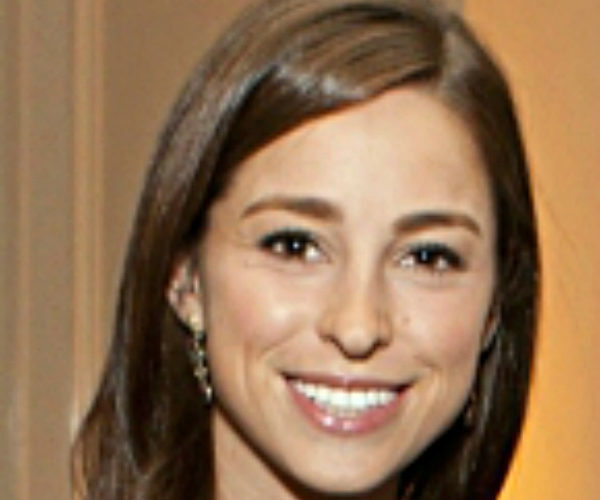 Jackie Carmel, W’11, C’11, is the Managing Director of Endeavor Catalyst, based in San Francisco. Endeavor Catalyst is an impact investment fund that enables investors to generate a competitive return. Prior to joining Endeavor, Jackie was at Google managing strategic partnerships with online publishers. She started her career at J.P. Morgan in New York City assisting U.S. companies with debt financings on the Investment Grade Debt Capital Markets team. Jackie graduated from the Huntsman Program at the University of Pennsylvania with a B.S. in Economics and a B.A. in International Studies, minoring in French. She serves on the Strategic Board of Coca-Cola FEMSA, the largest independent bottler and distributor of Coca-Cola products. Jackie lives in San Francisco with her husband, baby girl, and puppy. Can you tell us how your career in investment banking and technology shaped your path to nonprofit organization management/impact investing? Jackie Carmel: I was in the Huntsman Program at the University of Pennsylvania; I graduated with dual degrees in International Studies and Business. I grew up in Mexico and was always interested in emerging markets and Latin America, in particular. I interned at JPMorgan in New York after my junior year and joined Investment Grade Debt Capital Markets full-time after college. I enjoyed being in the finance world and getting that training and exposure, but my passion was to do something in the nonprofit sector – something entrepreneurial that benefited Latin America. I learned about Endeavor early on and followed it closely over the years. Prior to joining Endeavor, I moved to San Francisco and accepted a role at Google, which had always been a dream company to work for and a great transition into the technology sector and Silicon Valley. I was an Account Manager in the Online Partnerships Group and helped small-to-medium-sized publishers monetize their content. I went from helping very large companies raise debt at JPMorgan to helping small companies monetize their content with ads at Google, but there was that same entrepreneurial spirit throughout. While at Google, I was offered the opportunity to join Endeavor to help launch Endeavor Catalyst, an innovative impact investment fund. I thought it was a great opportunity to marry all my interests – finance, entrepreneurship, and emerging markets. What are some initiatives you have been involved with as the Managing Director of Endeavor Catalyst? Jackie Carmel: Since its inception in 1997, Endeavor’s mission has been to support high-impact entrepreneurs to drive job creation and economic development around the world. Once selected as an Endeavor Entrepreneur, entrepreneurs receive a wide range of customized support services to help them go from start-up to scale-up. One of the things that our Endeavor Entrepreneurs need the most is help accessing capital. Prior to Endeavor Catalyst, Endeavor facilitated connections with capital providers and provided mentorship around the capital raising process, but never provided capital directly. In 2011, the Endeavor Catalyst fund was launched, allowing Endeavor to invest directly in our Endeavor Entrepreneurs for the first time. Since joining Endeavor, I have been involved in raising our first and second funds ($100MM+), as well as developing various initiatives such as our annual Investor Meeting and publishing our Annual Report. We’ve made 58 investments across 17 countries between the two funds to date and it’s been incredible to meet entrepreneurs and investors from around the world. In your opinion, what are some key challenges impact investors face? Jackie Carmel: The broad sector has gained a lot of attention in recent years, which has been exciting, but there hasn’t been as large of an inflow into impact investing as was expected. Another challenge is the lack of standardization around impact measurements; many organizations have tried to tackle this such as B Lab, the Global Impact Investing Network’s IRIS, GIIRS etc., but nothing has been very widely adopted. While there are still challenges, I am encouraged by the growth of the sector and what lies ahead. What are some of the biggest challenges you have faced in your career and how did you seek to overcome them? Jackie Carmel: As clichéd as it may sound, I’ve tried to follow my heart when it comes to my career and I have not been let down. I enjoy working at a mission-driven organization and being surrounded by smart, ambitious, and globally-minded people. I’ve found that any challenges I’ve faced can be easily overcome when surrounded by a supportive team.